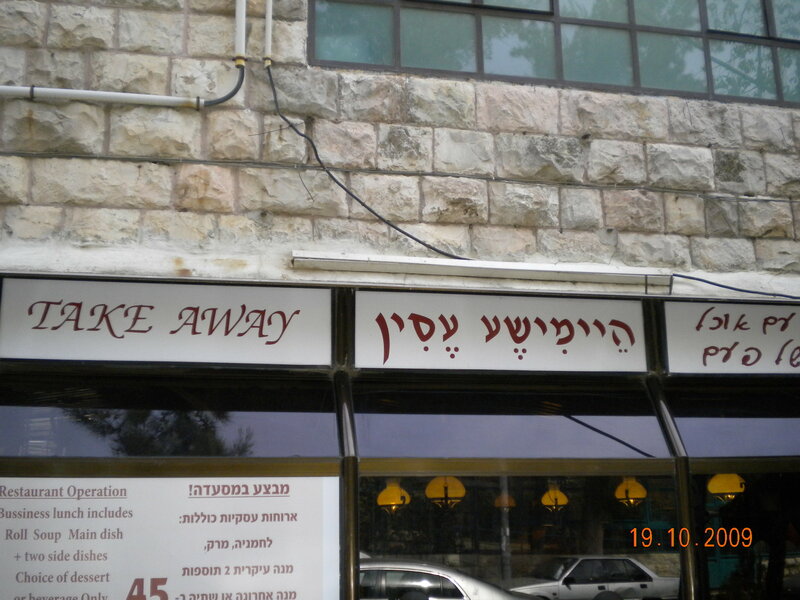 JKN recently published that the restaurant take home food store lost its hashgacha from the Jerusalem Rabbinate non-mehadrin. It also lost its hechsher from Badatz Agudas Yisrael. A bit earlier today I spoke with Rabbi Eliyahu Schlesinger, the rav/posek of the Jerusalem Rabbinate and Rabbi Yaakov Ruchamkin, who heads the Jerusalem Religious Council Kashrus Department, and they both confirmed the kashrus of the local rabbinate has been restored. That means the store is currently under the hashgacha of the Jerusalem Rabbinate non-mehadrin. I contacted Badatz Agudas Yisrael during the afternoon hours and learned the badatz has not restored the store’s kashrus at this time. Posted on July 12, 2012 by JKN Israel. This entry was posted in Restaurants. Bookmark the permalink. It seems to me that this store has had more than its share of scandels over the years. They used to be located someplace else [Geula ?] and they had to leave there. Something smells. I heard that these hashgochos were taken away not because of the food kashrus, but because the owner employed frum female single waitresses and the Hasgocho agencies were concerned about tzneius issues developing with the neighborhood yeshiva bochorim customers. Can you confirm this, please. I thought that “the neighborhood yeshiva bochorim” were all supposed to be barely surviving on meager stipends from the Israeli government. How could they afford to eat in such fancy restaurants? Darth, they use the force! Is there some prohibition against a yeshiva bochur (or his parents/friends/family) being able to afford a meal at a restaurant??? Wow!! Can’t believe all the lashon hara in these responses. I’ve come to expect such discussion from darth goya but what are the rest of you doing? The place is not fancy and Aguda allows female waitresses. Go to Sheyan or other Aguda restaurants and see for yourself. Apparently you haven’t read the previous posts where they were allegedly caught with serious kashrus fraud. [Which actually makes me wonder why the rabbanut has even reinstated their hasghgacha. In my book, you do that kind of thing, and you're TOAST]. Chief Rabbinate inspectors found labels being used in the take home food store to indicate that certain meals, apparently prepared to accommodate orders from Jerusalem hotels, to indicate those meals were under other hashgachot in compliance with the special requests. 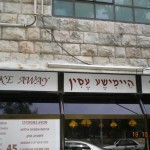 Labels from Badatz Rabbi Yehuda Leib Landau, Badatz Eida Chareidit and Badatz Yoreh Deah were found in the restaurant. The rabbinate contacted the Tzipori Restaurant (Rabbi Landau) as well as the Beis Yisrael Hall (Eida Chareidit) and learned Heimishe Essen never ordered any food items from them despite the fact their labels were appearing on sealed meals leaving the restaurant. In short, hotels ordered meals with the hashgacha requested by guests and the store simply took its food and placed labels from other businesses on them as if they were accommodating the request. The guests and hotels were being duped! There are certainly valid points of criticism one can level against yeshiva bochurim (as goes for any group of human beings), but when you start with silly attacks you unfortunately are only making your sinah transparent. The posts about yehsiva bochurim are amusing. The restaurant is in very central and in a mixed neighbourhood with many higher income residents. It is right across the street from a highly affluent building of mainly non-israeli’s who use Heismishe essen as a convenient Shabbos take-out. The clientele there is totally unpredictable and varied but only the small minority could be categorised as yeshiva bachurim. The article also clearly states that the restaurant was providing many off-location meals. This is still completely separate to the absurd argument of what bachurim can and cant afford to eat. - Darth Zeidah what a ridiculous comment. And Barry – what are u talking about?